Metal Artists in Western U.S. 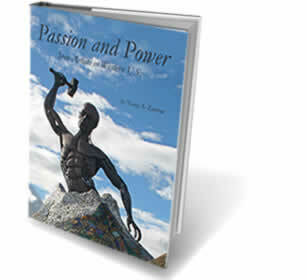 Passion and Power celebrates human imagination, determination and sweat. Feel your creativity and sense of adventure awaken as you read the stories of more than fifty extraordinary artists from the American west. Sharing their words and exquisite photographs of their unique works, Zastrow chronicles the lives of men and women who dedicate themselves to creating fluid forms from malleable metal. In your exploration of this exciting, innovative, and often challenging branch of the art world you will meet beauty and inspiration, served up by perseverance, passion and power. Click more details at the bottom to see the names of the blacksmiths and metal artists featured in this outstanding coffee table book! Click here to see a sample of the book.